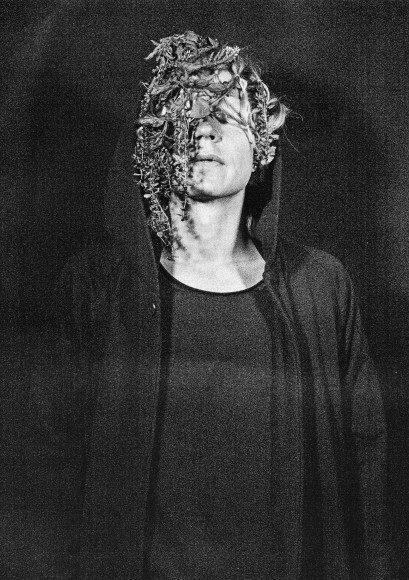 ROOXX aka Jori Sjöroos is a Finnish musician and producer. He is well known for being the composer and producer for the Finnish band PMMP and the core behind bands like Magenta Skycode, Fu-Tourist, This Empty Flow and Thergothon. Jori Sjöroos is also the co-owner and founder of Solina Records. Sjöroos was PMMP’s main composer and producer during their ten-year career span. Sjöroos’ own band, Magenta Skycode, released two full length albums and two EP’s during the band’s nine-year career. Magenta Skycode received an Emma Palkinto (Finnish Grammy) in 2010 and a Nordic Music Prize nomination. In 2014 the band announced the ending of the group and sold out two final performances in only a few minutes. In 2006, Sjöroos received an Emma Palkinto (Finnish Grammy) in the category Producer of the Year for the albums Magenta Skycode IIIII and PMMP Leskiäidin Tyttäret and have in addition to that received numerous of Finnish Grammys for other PMMP albums. In 2009, Jori Sjöroos received the Teosto Palkinto (Finnish Performance Rights Organization Award) together with Mira Luoti and Paula Vesala of PMMP for the album Veden Varaan. In 2013, the Finnish Minister of Culture, Paavo Arhinmäki, awarded Jori Sjöroos and PMMP with the Suomi Palkinto (Finnish Ministry of Education and Culture Award). For more complete back catalogue list see discogs.com.